Whether you’re playing the lottery or playing roulette or playing at online casinos, it’s important to understand your odds. When you can calculate what you’re up against, you can plan properly and improve your chances of going home a winner. Odds are used frequently in gaming when you’re determining the likelihood of a given outcome. If there are three possible outcomes, the odds of any one occurring are typically 1 in 3. However, this gets more complex as you begin to consider other factors. For example, if a game has six possible outcomes but two of them are winning and four are losing, your odds are 2 to 4. As with all fractions, you would simplify this to 1 to 2. Ideally, these two numbers will be as close to each other as possible. Odds of 1 in 2 are obviously far superior to 1 in 10. If you’re looking to increase your odds of winning (and who isn’t), there are several things you can do to subtly tip the odds in your favor. Don’t worry, these tactics won’t result in broken legs or get you kicked out of a casino. With casino games, you will improve your odds by making sure you understand all the rules. 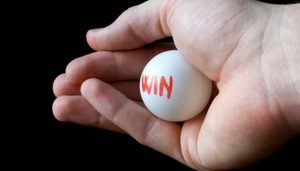 Your chances of winning are always lower if you don’t understand the basic principles. Figuring your odds in any casino game is tricky. You have many different outcomes to consider and multiple ways of getting there. Fortunately, the odds for most popular casino games are widely published so you can look them up quickly and see what you’re up against. These odds are typically represented in a percentage called the house edge. The lower the house edge, the better your chances of winning. For example, blackjack has a house edge of just 0.28 percent, making it one of the best games you can play. Keno has a house edge of 25 to 29 percent, making it harder to win. Always approach gaming with an eye to the future. Know how much you can afford to bet before you start to play and never go over your limit. Payout percentages only pan out over the long haul so you’re sure to lose if you wait to see those exact odds. Stop when you hit your limit or while you’re happily ahead. You can’t win at every game or contest, so calculate the odds and determine that you’ll be content to lose when the occasion arises.